Home / Blog / Insect Alert: Mosquitoes Head to the Midwest. Plus, Mice on the Move. Insect Alert: Mosquitoes Head to the Midwest. Plus, Mice on the Move. Some people joke that northern states only have two seasons: winter and road construction. But what about ‘skeeter season? Most folks know that as soon as it’s warm enough to hit the lakes, you better be ready to do the “mosquito swat” dance! In southern central states, ants and ticks are abundant. Midwesterners have come to expect late winter (or even late spring) storms. What you might not realize is that a spring cold snap is actually good news — it means pests will wait a while before they start causing you any problems. Here’s what you can expect this spring and summer if you live in the middle of the country. A long winter means late pests. An exceptionally cold winter with snowstorms still hitting in the spring means that it will take more time before bugs and rodents come out in full swing. Melting snow and spring showers creates inviting moisture for ants and mosquitoes. Mosquitoes lay their eggs and spend the first 10 days of life in the water. That’s why mosquito swarms can be especially thick near lakes, drainage ditches, or standing water. They will wait until the temperature stays above 50 degrees before becoming active. Although mosquito season may not last long — they’ll start to settle down after the first cold snap in the fall — preventing mosquito bites is important because of the diseases they can transmit like West Nile virus. Protect yourself from mosquitoes by wearing light colors, covering up exposed skin, and using insect repellent. Stay Away® Mosquitoes is made with CDC recommended ingredients. Use it, in addition to the steps listed above, to repel mosquitoes. Ants don’t like being left high and dry! A long period of drought is just coming to an end in areas like Texas, which is a welcome relief for many. Ants depend on water just like people. Many ants have found refuge from dry conditions by moving indoors. Even with the recent rainfall, ants are still a force to be reckoned with. 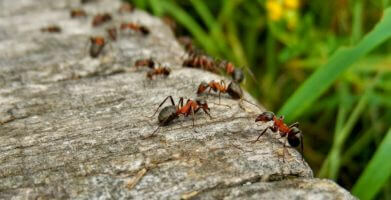 There are thousands of different kinds of ants, but the ones you should lookout for are carpenter ants and fire ants. Carpenter ants can be found all over the United States, including the Midwest. They don’t actually eat wood, but they tunnel through it and can cause serious property damage for homeowners. Prevent ants inside your home by keeping the area clear of food and water. Store food in sealed, air tight containers. If you see ants, watch them to find how they are getting in so you can block their entry points. Fire ants are only found in the southern states, but they a problematic pest. They are aggressive if the nest is disturbed, and deliver a painful sting. For the very young, elderly, or people with an allergic reaction, fire ant stings can be life-threatening. For extra protection that has been proven effective, place Stay Away® Ants in hot spots around your home like the kitchen or bathroom. Follow us on social media to see more natural tips to prevent ant problems. 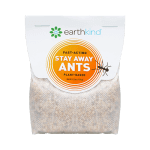 Things you already have in your kitchen like cinnamon, vinegar, or coffee grounds can help you keep ants away in a pinch. An outdoor pest is a pest none-the-less. Ticks are another pest set to thrive across the Midwest this summer. They actually thrive all over the United States, but pose the greatest threats to humans during the late spring and summer season. Like ants, ticks do best when the weather isn’t too dry — recent rainfall across the region suggests that there will be a surge of tick sightings this season. 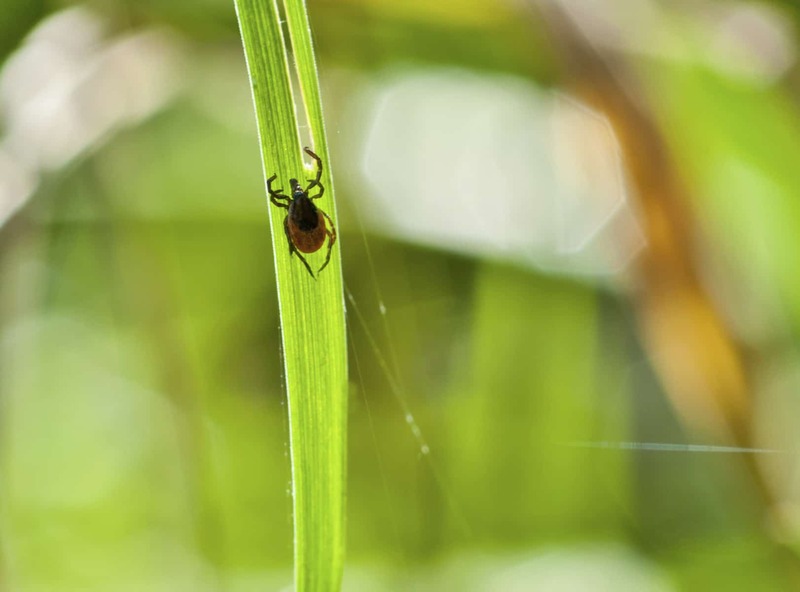 Ticks prefer dense, moist, wooded areas with lots of tall grass and brush. Stacked wood, lawn clippings, and leaf piles can all harbor ticks as well. Ticks are well known for spreading Lyme disease as well as many other pathogens, and they are just as dangerous to our pets as they are to us. Use caution in tick prone areas. Wear light colored clothing, tuck your pants into your socks, and put your hair in a pony tail or hat. Consider washing your clothes and showering immediately after spending time outdoors. Lemon eucalyptus essential oil can be helpful for repelling ticks. Remember to check your pets for ticks daily. A drop of rose geranium essential oil on the cloth of a pet collar will help repel ticks for up to a week. Mice may not fall under our “Insect” headline, but they sure are a pest. A long, cold winter turns out to be a good thing when it comes to mice however — the harsh weather can actually reduce rodent numbers, giving people a little relief from these pests. Even if the season starts with fewer rodents, they are known for their ability to quickly reproduce. Rats and mice are a serious problem in both the city and the country. Rodents cause millions of dollars in damage to farmers’ crops and equipment each year. They have learned to live alongside us and can withstand almost any conditions as long as there is food, water, and shelter. Setting a few snap traps never solves the problem and using poisons can be dangerous if there are young children or pets in the area. 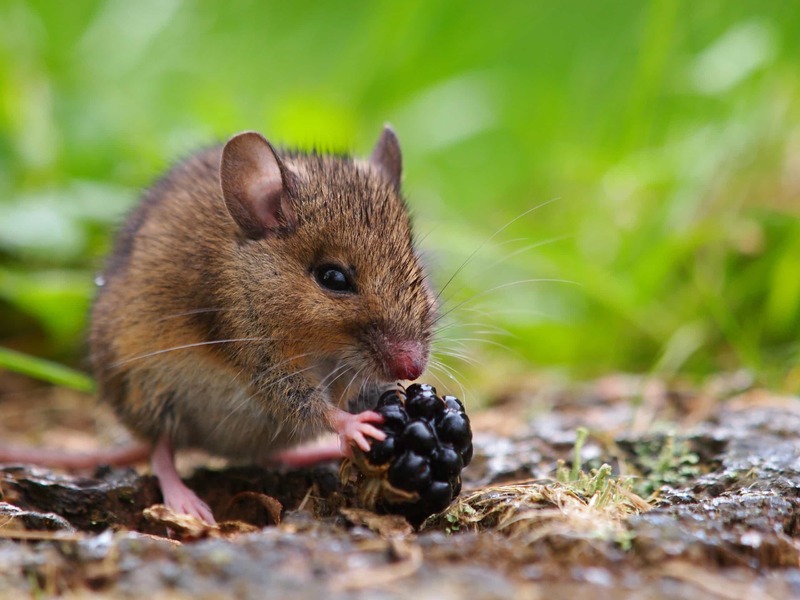 Getting rid of mice naturally is the best way to prevent pest problems. Removing any food and water sources is a good place to start. Mice love dog food so make sure you are only feeding pets at meal time and store any extra food in air-tight, chew-proof containers. Do a thorough walk through your home and around your property — look for cracks, gaps or holes rodents could use to sneak inside — mice can squeeze through a hole the size of a dime and rats can fit through a hole the size of a quarter. Outside, make sure tree branches and shrubs are trimmed back away from the house and wood piles and compost heaps are at least 25 feet away from buildings. 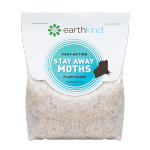 Make pests Stay Away® naturally. It doesn’t matter if the weather is characterized by drought or a wet spring, pest problems abound in the heartland. All pests have certain things they love, and other things they don’t like — you’ll want to make sure pests don’t like you! Natural pest prevention is the best protection against rodents and insects. 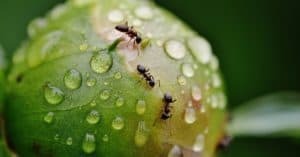 Removing food and water sources as well as paying attention to where pests are coming from makes it easy to keep them outside without using any questionable chemicals. 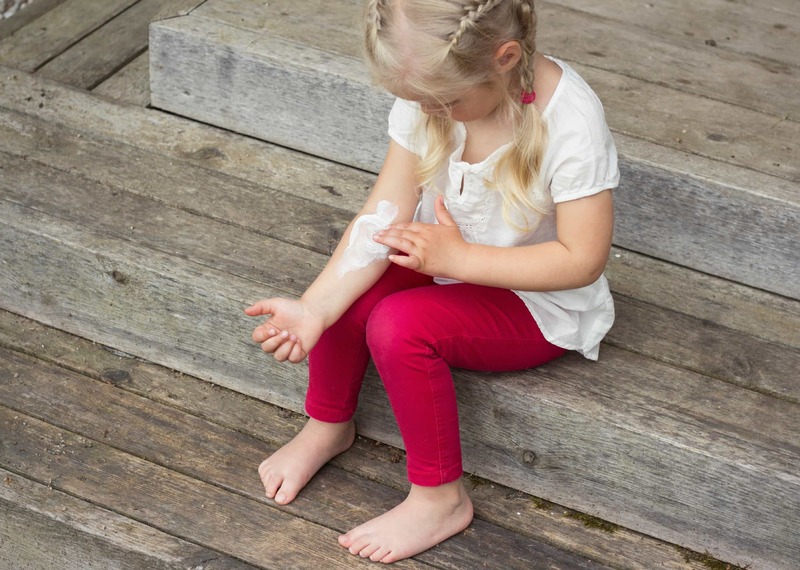 When a repellent is needed, look for natural alternatives. 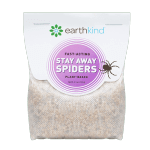 Stay Away Rodents and Stay Away Ants add an extra level of protection around the home. Some people joke that northern states only have two seasons: winter and road construction. But what about 'skeeter season? Most folks know that as soon as it's warm enough to hit the lakes, you better be ready to do the "mosquito swat" dance! In southern central states, ants and ticks are abundant. Midwesterners have come to expect late winter (or even late spring) storms. What you might not realize is that a spring cold snap is actually good news -- it means pests will wait a while before they start causing you any problems. Here’s what you can expect this spring and summer if you live in the middle of the country. Mosquitoes lay their eggs and spend the first 10 days of life in the water. That's why mosquito swarms can be especially thick near lakes, drainage ditches, or standing water. They will wait until the temperature stays above 50 degrees before becoming active. Although mosquito season may not last long -- they'll start to settle down after the first cold snap in the fall -- preventing mosquito bites is important because of the diseases they can transmit like West Nile virus. Ants don't like being left high and dry! A long period of drought is just coming to an end in areas like Texas, which is a welcome relief for many. 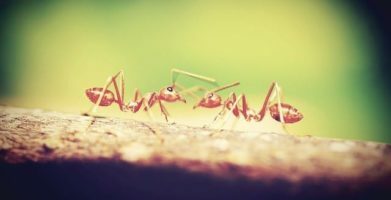 There are thousands of different kinds of ants, but the ones you should lookout for are carpenter ants and fire ants. Carpenter ants can be found all over the United States, including the Midwest. They don't actually eat  wood, but they tunnel through it and can cause serious property damage for homeowners. For extra protection that has been proven effective, place Stay Away® Ants in hot spots around your home like the kitchen or bathroom. Follow us on social media to see more natural tips to prevent ant problems. 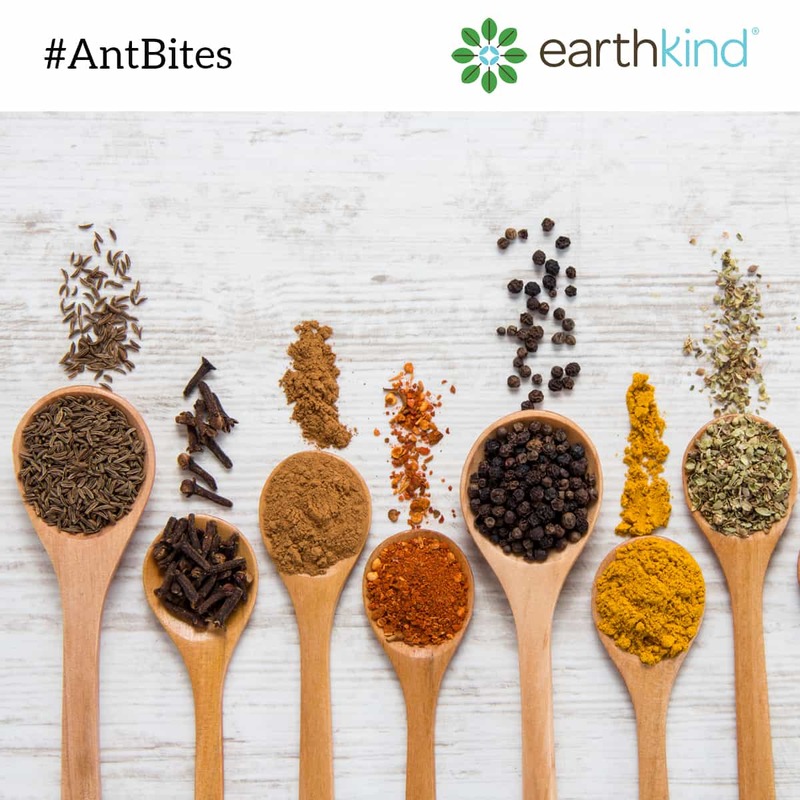 Things you already have in your kitchen like cinnamon, vinegar, or coffee grounds can help you keep ants away in a pinch. Ticks are another pest set to thrive across the Midwest this summer. They actually thrive all over the United States, but pose the greatest threats to humans during the late spring and summer season. Like ants, ticks do best when the weather isn't too dry -- recent rainfall across the region suggests that there will be a surge of tick sightings this season. Ticks prefer dense, moist, wooded areas with lots of tall grass and brush. Stacked wood, lawn clippings, and leaf piles can all harbor ticks as well. Ticks are well known for spreading Lyme disease as well as many other pathogens, and they are just as dangerous to our pets as they are to us. Use caution in tick prone areas. Wear light colored clothing, tuck your pants into your socks, and put your hair in a pony tail or hat. Consider washing your clothes and showering immediately after spending time outdoors. Lemon eucalyptus essential oil can be helpful for repelling ticks. Remember to check your pets for ticks daily. A drop of rose geranium essential oil on the cloth of a pet collar will help repel ticks for up to a week. Mice may not fall under our "Insect" headline, but they sure are a pest. A long, cold winter turns out to be a good thing when it comes to mice however -- the harsh weather can actually reduce rodent numbers, giving people a little relief from these pests. Even if the season starts with fewer rodents, they are known for their ability to quickly reproduce. Rats and mice are a serious problem in both the city and the country. Rodents cause millions of dollars in damage to farmers' crops and equipment each year. They have learned to live alongside us and can withstand almost any conditions as long as there is food, water, and shelter. Setting a few snap traps never solves the problem and using poisons can be dangerous if there are young children or pets in the area. Getting rid of mice naturally is the best way to prevent pest problems. Removing any food and water sources is a good place to start. Mice love dog food so make sure you are only feeding pets at meal time and store any extra food in air-tight, chew-proof containers. Do a thorough walk through your home and around your property -- look for cracks, gaps or holes rodents could use to sneak inside -- mice can squeeze through a hole the size of a dime and rats can fit through a hole the size of a quarter. Outside, make sure tree branches and shrubs are trimmed back away from the house and wood piles and compost heaps are at least 25 feet away from buildings. It doesn't matter if the weather is characterized by drought or a wet spring, pest problems abound in the heartland. 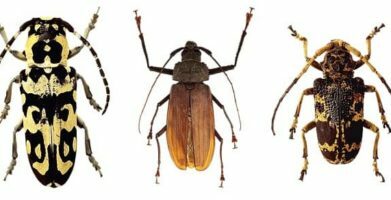 All pests have certain things they love, and other things they don't like -- you'll want to make sure pests don't like you! string(69) "Insect Alert: Mosquitoes Head to the Midwest. Plus, Mice on the Move."